Volunteer groups tackle the big projects that Hubbard House staff can’t do alone. The U.S. Coast Guard Sector Jacksonville Prevention Department has done volunteer projects that provide a huge service to Hubbard House. This dedicated group came together to spruce up the front of our property by cleaning, weeding and re-mulching. They came back again to help us assemble 8,000 invitations for our 19th Annual Barbara Ann Campbell Memorial Breakfast! Hubbard House is so grateful to have this dedicated team of Coast Guard members helping with projects! We would like to thank this group, and the rest of our volunteers for all that they do for Hubbard House! How did your group get involved with Hubbard House, and why did you choose to give your time to the organization? The city of Jacksonville and everyone that lives here is very supportive of us and our families. As part of our service, we feel that giving back to the community is the right thing to do and our way of hopefully improving the lives of local residents. What has been the most memorable experience you have had during your time volunteering? Just seeing the appreciation of everyone at Hubbard House when we completed the grounds maintenance project. What has your volunteering experience meant to your group? Volunteering is a positive experience for all of us. As members of the Coast Guard, we are blessed to have the lives and opportunities that we do. By volunteering, hopefully we can change the lives of the people around us. 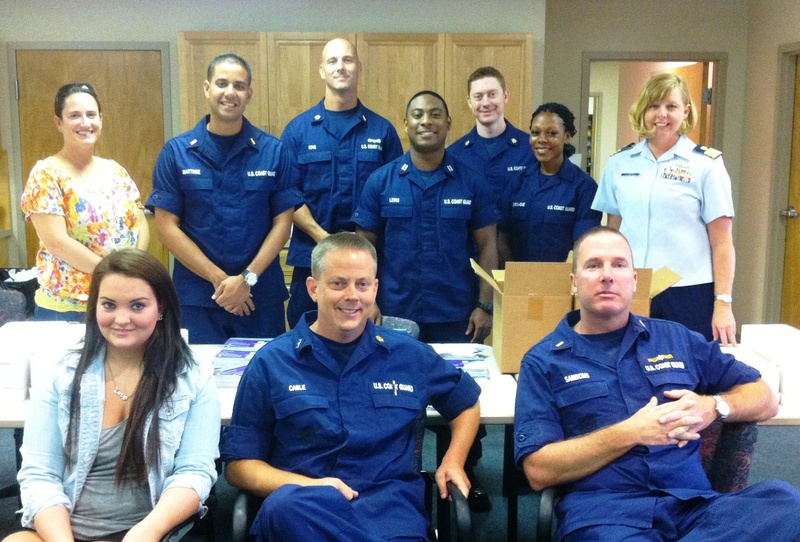 How does USCG Sector Jax Prevention Department use your talents in your volunteering? We are a group of people where teamwork is a must for us to be successful in our jobs. We use this approach to tackle all of the opportunities that Hubbard House has presented us with. If you or someone you know is affected by domestic/dating violence please call the Hubbard House 24-hour domestic violence hotline at (904) 354-3114 or (800) 500-1119. Hubbard House can help. ABOUT HUBBARD HOUSE: Founded in 1976, Hubbard House is a certified, comprehensive domestic violence center providing programs and services to more than 5,000 women, children and men annually in Duval and Baker counties. While Hubbard House is most known for its emergency shelter, the agency also provides extensive adult and youth outreach services, school-based education, therapeutic child care, batterers’ intervention programs, court advocacy and volunteer and community education opportunities. Visit http://www.hubbardhouse.org to learn more.